VMs storage runs out of disk space. 1. 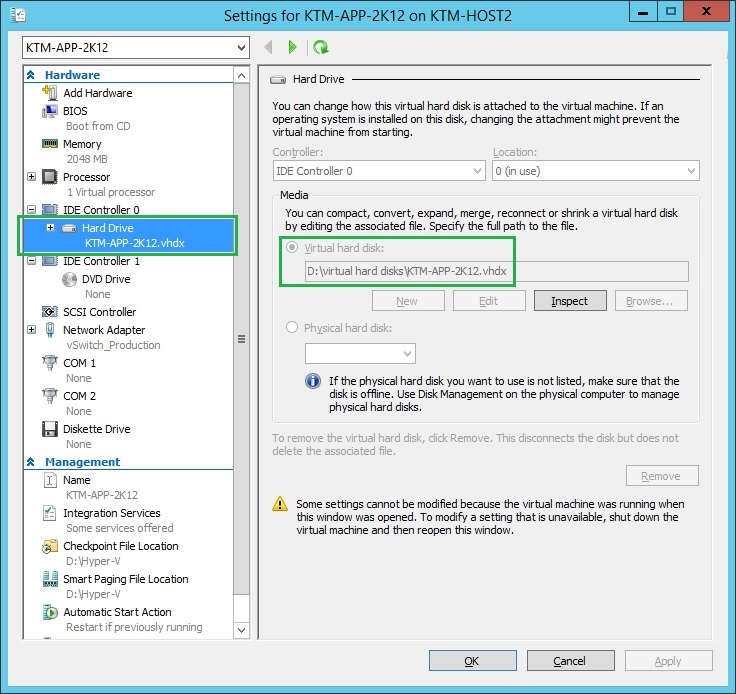 Disk reads/writes to the source virtual hard disk. 2. 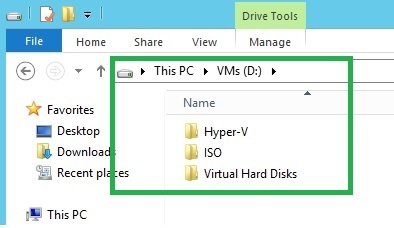 Virtual hard disk is copied to new destination virtual hard disk. 3. Disk writes are mirrored to both the source and destination virtual hard disks. 4. 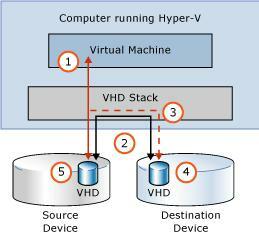 After virtual hard disks are completely synchronized, virtual machine switches to copied destination virtual hard disk. 5. 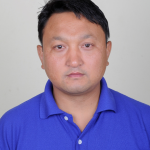 Source virtual hard disk is deleted. 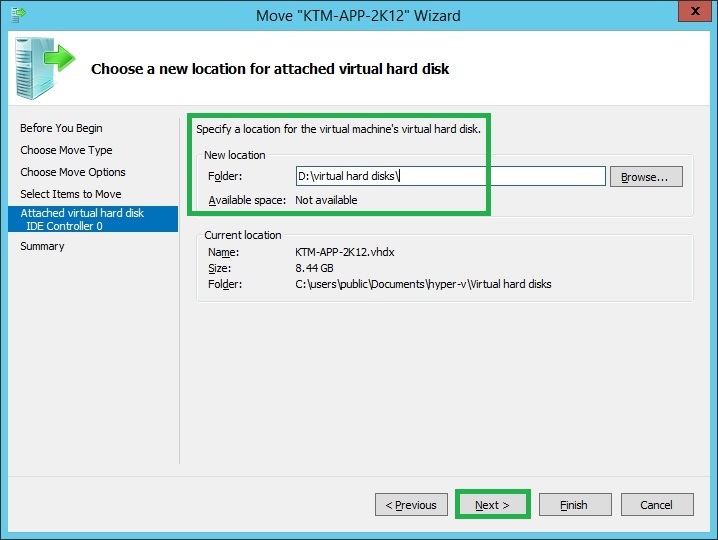 Here, you will move VM default location of Virtual Hard Disk to the following location. 1. On KTM-HOST2, in Hyper-V Manager, right-click KTM-APP-2K2, and then click Move. 2. 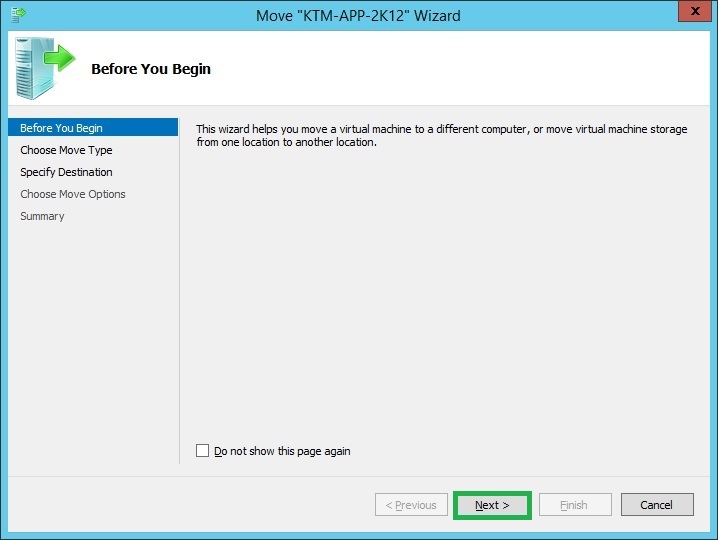 In the Move”KTM-APP-2K12” Wizard, on the Before You Begin page, click Next. 3. 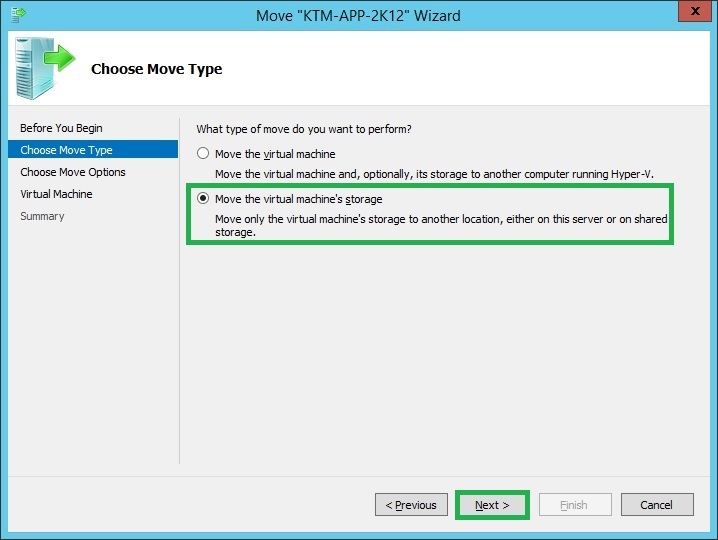 On the Choose Move Type page, select the Move the virtual machine’s storage option, and click Next. 4. 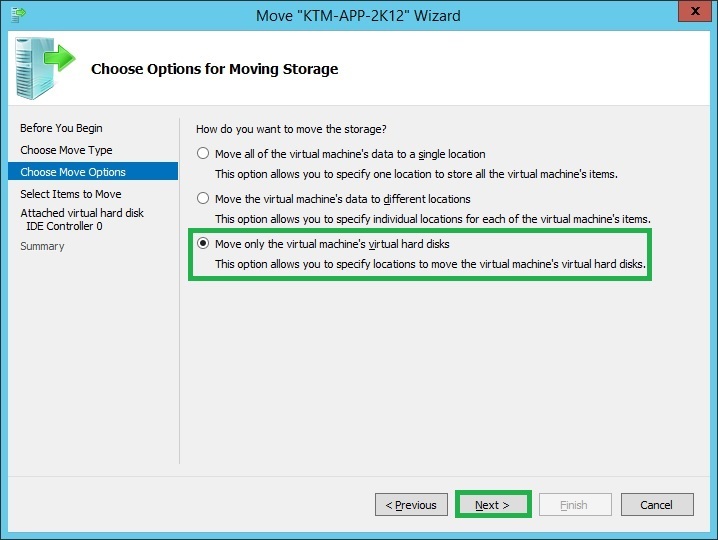 On the Choose Options for Moving Storage page, select the Move only the virtual machine’s virtual hard disks option, and then click Next. 5. 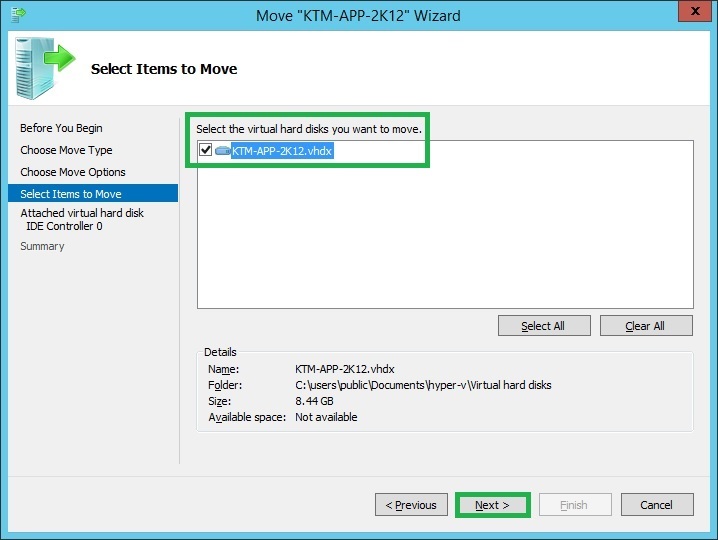 On the Select Items to Move page, Select the virtual hard disks you and then click Next. 6. 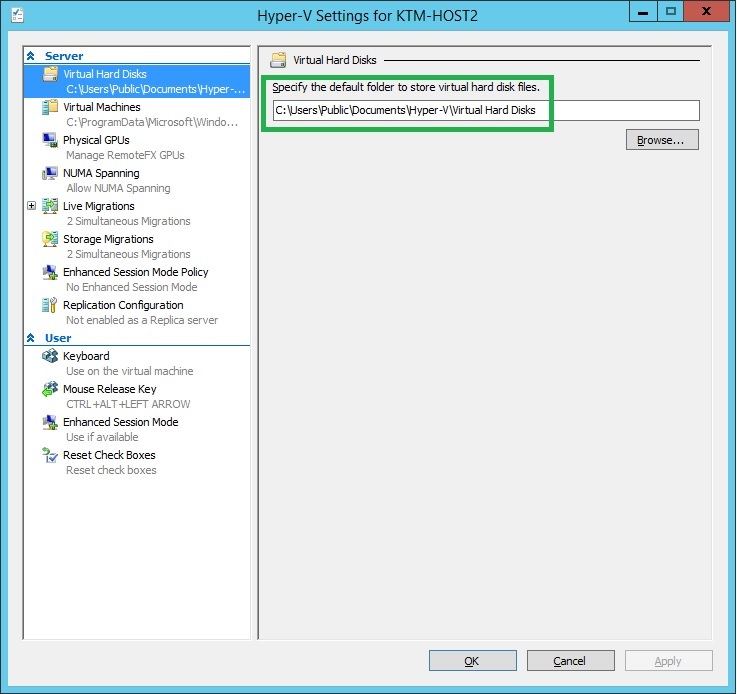 On the Choose a new location for attached virtual hard disk page, Specify a location for the virtual machine’s virtual hard disk, in the Folder field, type D:\Virtual Hard Disks, and then click Next. 8. 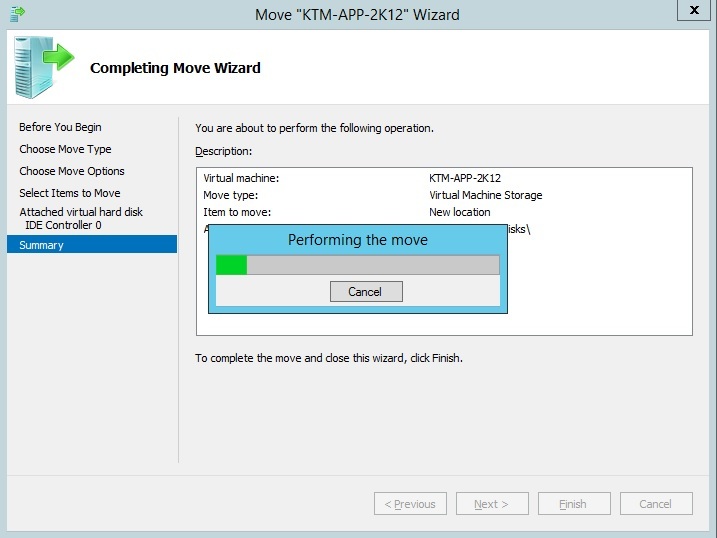 In the Move “KTM-APP-2K12” Wizard, On Completing Move Wizard page, Performing the move. 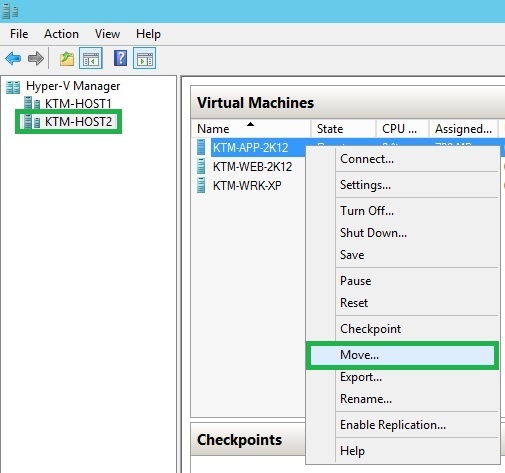 You can monitor the progress of the Moving Storage in Hyper-V Manager, in the Status column. 9. 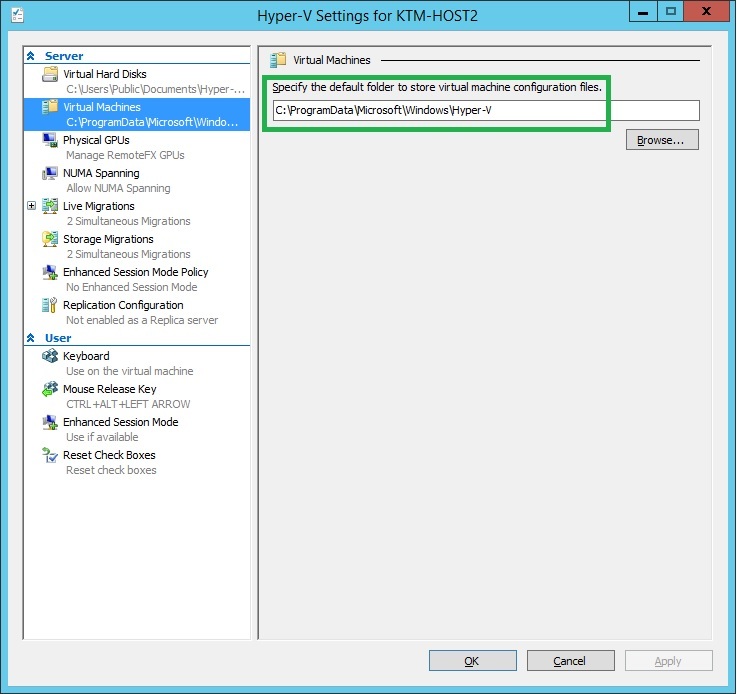 After Live Storage Migration completes, in Hyper-V Manager, verify the virtual machine new storage location. 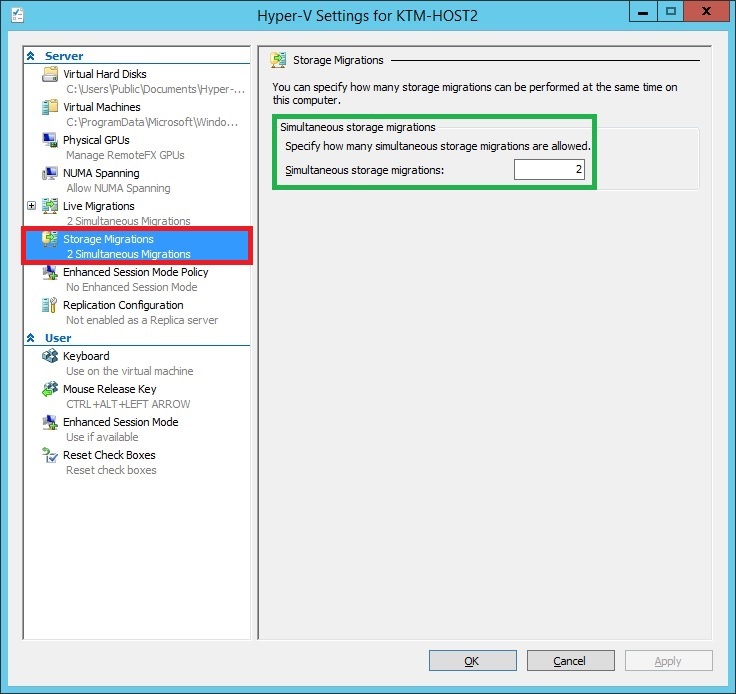 The above article outlines how to carry out “Storage Live Migration in Windows Server 2012 R2 Hyper-V”. 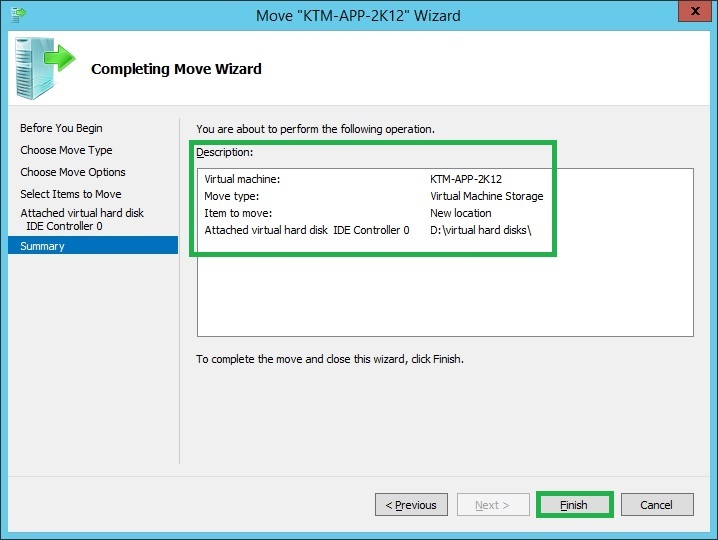 I hope this can be more helpful during “Storage Live Migration in Windows Server 2012 R2 Hyper-V”.